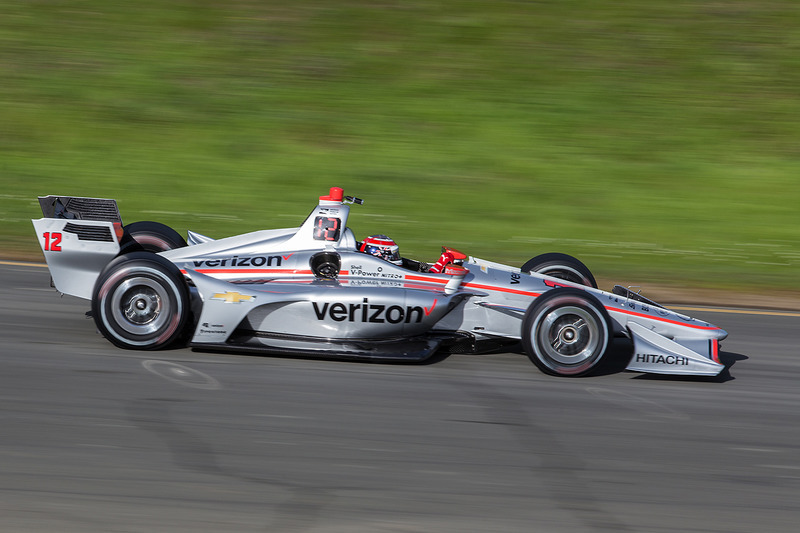 Who can we expect to see challenging Team Penske for the 2018 Verizon IndyCar Series championship, and what are the achievable targets for all the teams in a season of technical upheaval? David Malsher is your guide. With Helio Castroneves having switched to Penske’s IMSA program, returning to IndyCar for only the GP of Indy and Indy 500, the Captain’s crew is down to three fulltime entries. But while this has numerically reduced the chances of a Penske win on non-IMS weekends, has it actually weakened the program? It seems not. Penske has topped sessions at Sebring, Sonoma and Barber Motorsports Park, and was near the front at Phoenix, too. Chevrolet, renowned for its reliability, looked slightly down on power for much of 2017 – particularly at Indy – yet the best Honda-powered rivals believe the Ilmor units are back on par with HPD… if testing has presented a true picture of the battle. And, let’s not forget that even if Chevy had a deficit up until Pocono in August last year, Penske still won 10 races and finished 1-2-4-5 in the championship standings. Operationally, Penske is as slick as ever, and has deep well of human and financial resources, so is probably most likely to get its arms around the issues and nuances of the new car. The driver and race engineer lineup comprises only series champions, they make few mistakes and on most weekends at least two of the entries are in the hunt for victory. Therefore don’t be surprised if all three drivers arrive in Sonoma in championship contention. Like Penske, Chip Ganassi Racing’s IndyCar operation has shrunk, but in CGR’s case by half. 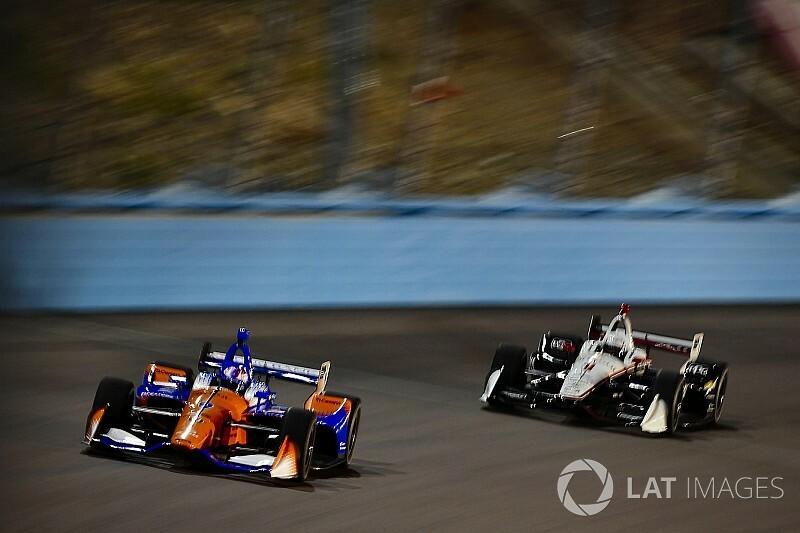 If you looked beyond the bald statistics of just one win and one pole for Scott Dixon in 2017, the truth is that the combination of Ganassi, Dixon, Chris Simmons (race engineer) and Mike Hull (race strategist and team manager) did a fantastic job to split the Penskes in the final championship standings. That’s despite being new to the Honda aerokit, said aerokit being less efficient than its Chevy counterpart, potential wins lost to yellow flags (St. Pete), strategy (Long Beach) and a mistake by a rival (Texas), and despite suffering a huge points blow by being first DNF at the double-points Indy 500. Whenever rivals seem paranoid about the Dixon threat, seasons like 2017 are reminders just how good the #9 team can be, and why they are again the most likely title threats to Penske. After one win in four seasons at Ganassi, veteran Tony Kanaan has been replaced in the #10 car by series sophomore Ed Jones, who finished third for Dale Coyne Racing at Indy last year. Since Dario Franchitti’s untimely retirement, CGR has centered around Dixon – understandably – but Jones, the 2016 Indy Lights champion, can make his mark. 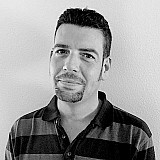 He creates speed through smooth inputs, which will be beneficial in an era of increased tire degradation. The one question mark over the team is whether the pair's respective driving styles are too different for their feedback to be of use to each other. .
Andretti Autosport didn’t hit the track with the 2018 car until January, yet Bryan Herta, who co-owns Marco Andretti’s #98 entry, denies that this has hurt the squad’s chances… and testing appears to have justified his optimism. Andretti is reborn, reveling in the fact that he can feel the car's limits again after struggling mightily with the numb, downforce-drenched manufacturer aerokits. He’s getting tired of false dawns in his career, but he did admit that topping the times on his final day of testing at Sebring had been encouraging. Ryan Hunter-Reay hasn’t won for more than two-and-a-half years, despite the fact that he and Ray Gosselin comprise one of the most respected driver/race-engineer combos in the paddock. If Andretti Autosport really is approaching Penske level once more, RHR is a potential winner on any kind of track. 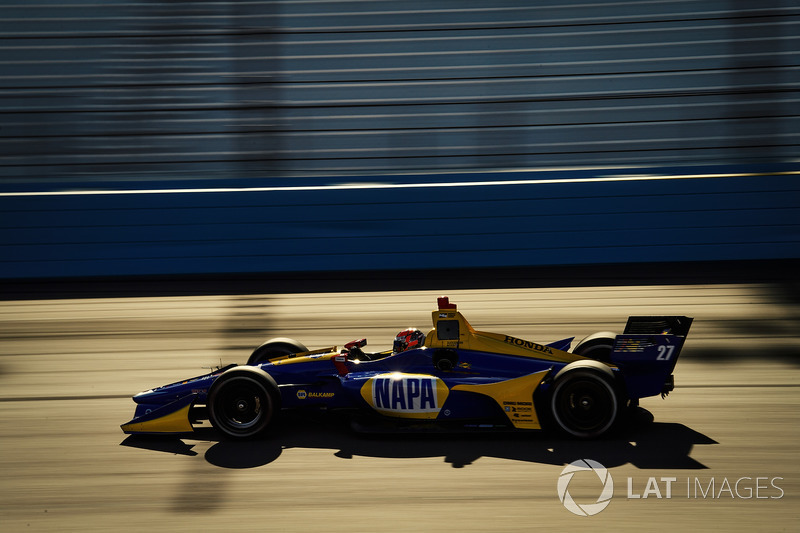 He can expect heavy pressure from the increasingly impressive Alexander Rossi, who gained a lot of momentum in the second half of last season, culminating in a brilliant pole and victory at Watkins Glen. Rossi appears to possess all the qualities necessary to clinch a championship. This year? That depends on AA’s progress. Zach Veach, replacement for Indy 500 winner Takuma Sato, has started just two IndyCar races so far, so is still very much a rookie. The squad is taking a patient approach in pushing him up the learning curve but once he’s fully confident, expect to see the same qualities we witnessed from Veach in Indy Lights – speed and bravery. If you’re looking for a real dark horse in the championship, Graham Rahal and the Rahal Letterman Lanigan Racing team seem to have all the credentials and staff necessary to break the Penske-Ganassi axis which has ruled the last five championships. With Ricardo Nault as team manager, Mike Talbott as vehicle dynamics engineer, Martin Pare as vehicle ride control engineer, Tom German as tech director and race engineer for Rahal’s car, and Eddie Jones as race engineer for Takuma Sato, RLLR has assembled a very strong lineup. Now, with defending Indy 500 winner Sato rejoining the squad to form RLLR’s first two-car lineup since 2013, the team can also divide workload, conduct more setup experiments and pool data. And it's already paying off. 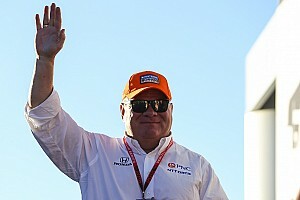 The team co-owned by three-time IndyCar champion Bobby Rahal, David Letterman and Mike Lanigan topped sessions at Sebring and dominated at Phoenix. 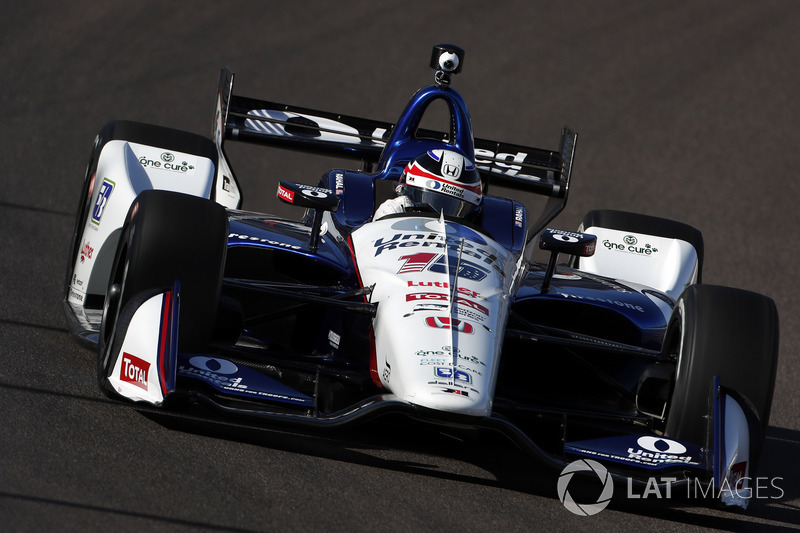 At any given race, Sato’s enthusiasm and fire can put him either in the top five or in the wall so expect Rahal to be the more consistent over a season. But don’t be surprised to see either of them in victory lane, nor regularly contending for places in the Firestone Fast Six in qualifying. Schmidt Peterson Motorsports has grabbed DTM exile Robert Wickens to form an all-Canadian full-time lineup with perennial series favorite James Hinchcliffe. 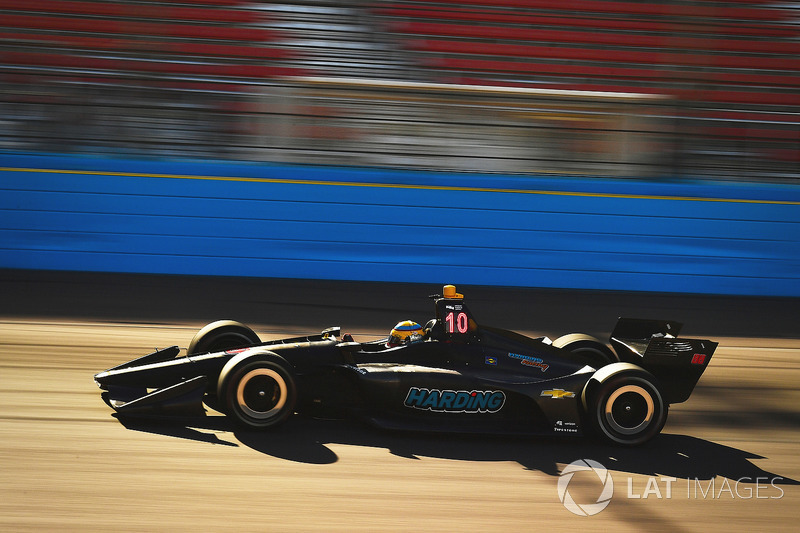 Wickens was still in the process of blowing the rust off his open-wheel racing skills as preseason testing ended, admitting that extracting the most out of fresh tires in qualifying sims has been the hardest part of the reacclimatizing process. But he’s smart, his junior open-wheel résumé is proof of his talent, and there will probably be days this year when he can outpace Hinch. 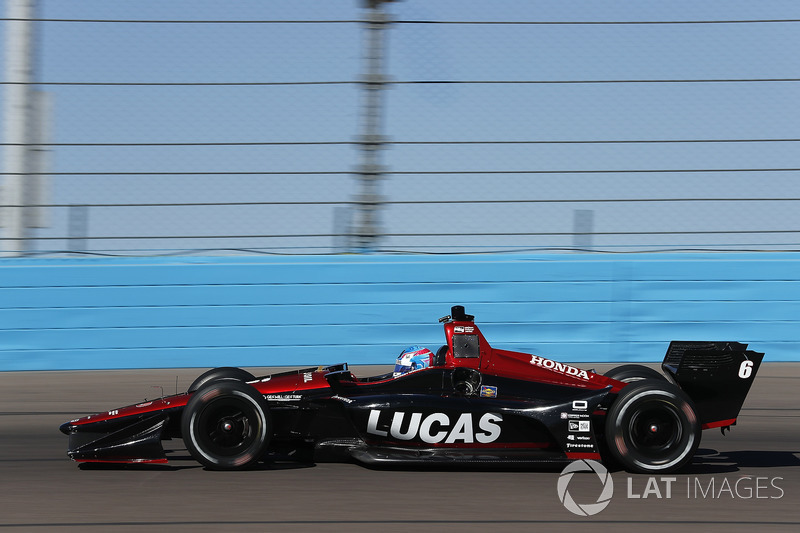 Wickens even looked fairly comfortable in his first oval experience at Phoenix. But Hinch is one of those drivers who can be extremely fast on any type of track – remember those excellent qualifying performances in the first half of last year? – and extremely brave in wheel-to-wheel situations. He will be working with race engineer Leena Gade, who’s new not only to the team but also this branch of the sport, but both are smart enough to bond and make swift progress learning the new car. Both Canucks may find themselves occasionally running behind their part-time teammate, Jack Harvey, in the Michael Shank Racing-run arm of the team, which will start at least six races this year. MSR knows how to run a slick operation, and Harvey – a British F3 champion and two-time runner-up in the Indy Lights title race – got some good race miles under his belt last year at Indy, Watkins Glen and Sonoma. What Harvey lacks now is time with the new car, Shank’s chassis having only been delivered in time to squeeze in two days of testing. If any driver wants an example of how to transform his reputation after a somewhat fractured and inconclusive debut season, he or she need only look at 2015 Indy Lights champ Spencer Pigot in 2017. 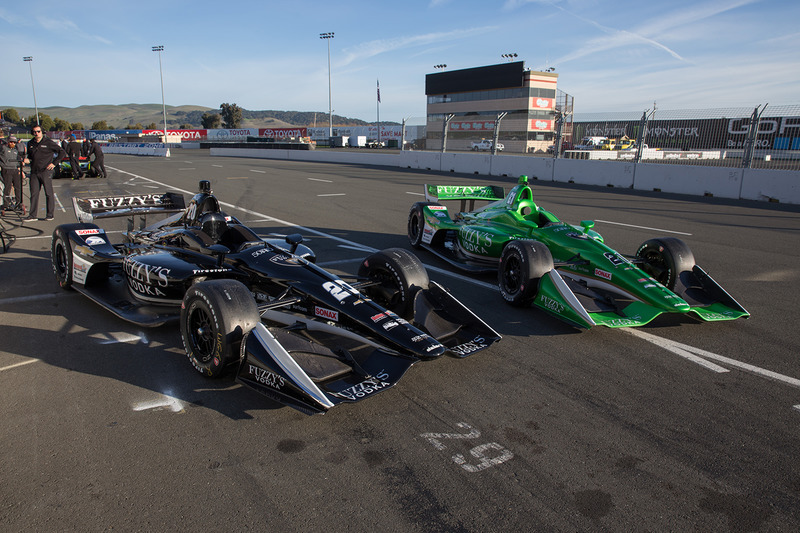 He upped his game in every regard – particularly utilizing the extra grip offered by the alternate tire compounds in qualifying – and he’s now replaced series veteran JR Hildebrand as Ed Carpenter Racing’s fulltime driver. Pigot says he’s enjoyed flinging the new car around like it’s a big version of his old Lights machine. 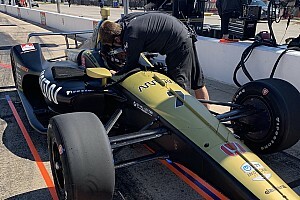 But while he can lean on his team owner and teammate Ed Carpenter as he tackles the ovals, Pigot will now have to guide the team’s tech direction on road/street courses with race engineer Matt Barnes. In ECR’s other car, two-time Indy 500 polesitter Carpenter will remain as driver for the six ovals (Phoenix, Indy 500, Texas, Iowa, Pocono, Gateway), with former GP2 race winner Jordan King taking the wheel for the 11 road/street courses. The Briton has looked roughly on the pace of Pigot in testing, but getting the most out of the grippier red-sidewalled alternate tires remains a rookie’s biggest challenge, and there’s no preseason testing allowed on those. 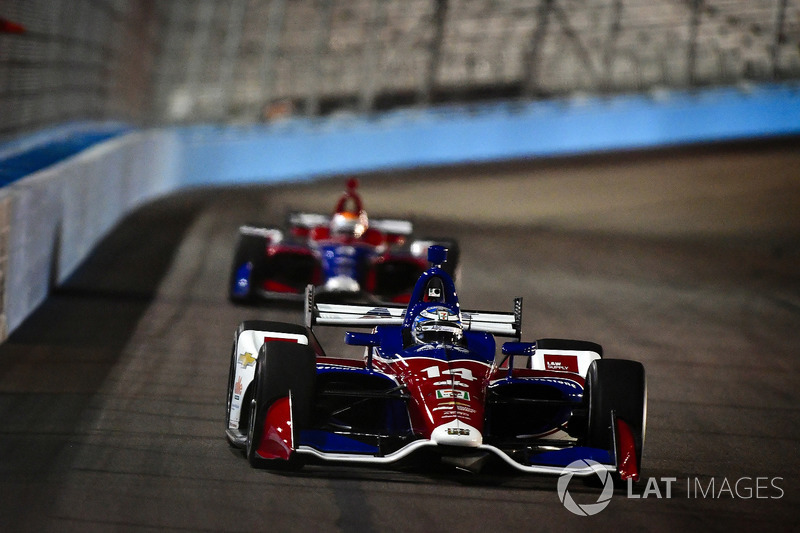 After ditching Honda, Takuma Sato and Jack Hawksworth at the end of 2016, AJ Foyt Racing attempted to rebuild with Chevrolet, Carlos Munoz and Conor Daly, but after a difficult year trying to learn the Chevy aerokits, both drivers have been flushed out again. Now Foyt’s squad has rebooted with a couple of Brazilians – Tony Kanaan bringing the knowledge of a former champion and Indy 500 winner and a neat line in race craft, Matheus Leist providing the youthful pizazz of a very promising Indy Lights graduate and the hair of a young Jeff Lynne. Leist has swiftly adapted to the ‘big cars’ although one spin and three wall-brushes in two days at Phoenix suggest that his bravery may be greater than his skillset right now. But for the sake of the blood pressure of iconic team owner AJ and the sanity of team president Larry Foyt, Leist will learn his limits. 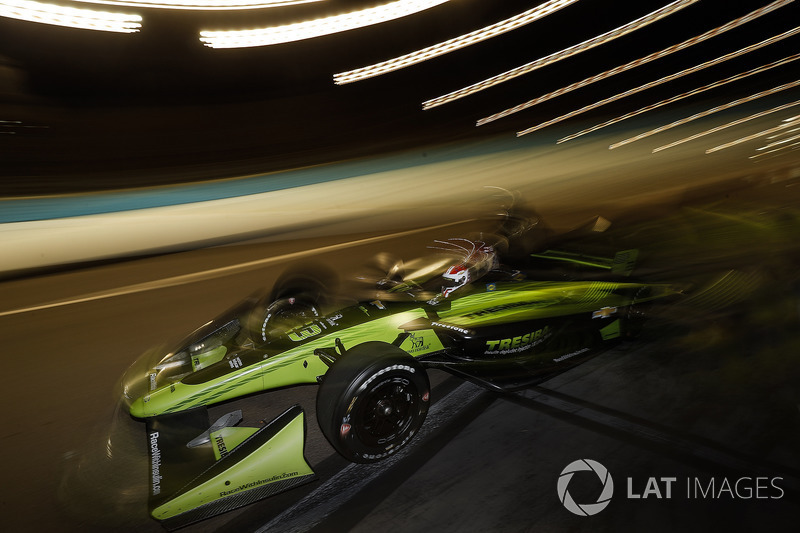 With race engineer Eric Cowden having accompanied Kanaan on his move from Ganassi, here is a combo that knows how a strong Indy car should feel and react – each has been through several formula iterations over the years. Testing suggests this team is on the brink of a resurgence, particularly on ovals. That’s what it needs, too, considering the ABC Supply cars’ performance will be directly compared to the new teams on the grid – all Chevrolet powered. Another split ride – though not based on ovals/non-ovals – has been carved out for two rookies in the #19 Coyne car. Zachary Claman De Melo, an aggressive but swift graduate from Indy Lights who turns 20 next month will compete in 10 races, having broken into the IndyCar ranks with a competent performance for Rahal Letterman Lanigan in last year’s season finale. The other seven events – including the Indianapolis 500 – will see the IndyCar debut of Formula V8 3.5 World Series’ champion, Pietro Fittipaldi. 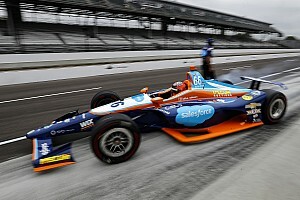 The grandson of two-time F1 champion, one-time Indy car champion and two-time Indy 500 winner Emerson is, unsurprisingly, the more complete driver, while De Melo could have used another year in Lights, according to his former employer Carlin. 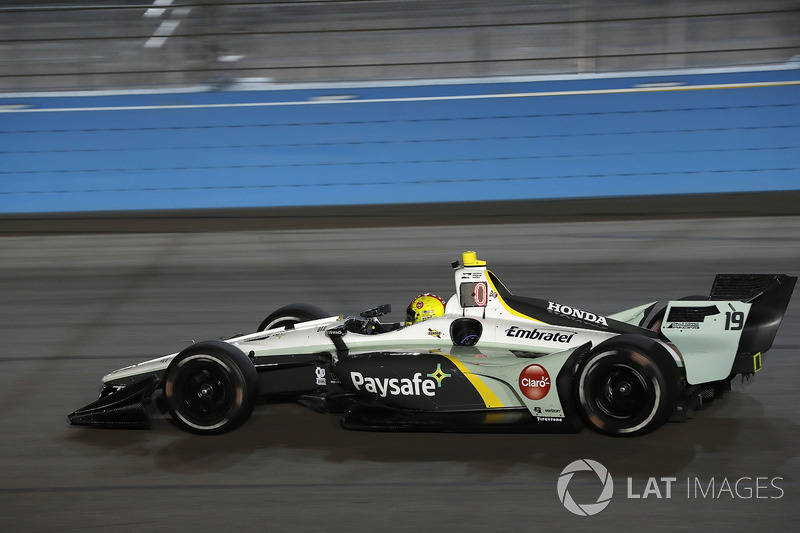 But ZCDM is bringing good Paysafe sponsorship and is already competent; if anything can smooth off his rough edges in a nurturing environment, it’s the combination of Dale Coyne and the #19 car’s race engineer Michael Cannon. Sebastien Bourdais has shaken off the effects of last year’s monstrous shunt during practice for the Indianapolis 500, and his car – which is now run in partnership with Jimmy Vasser and James Sullivan, has acquired Sealmaster sponsorship for at least eight races. The new car’s inherent handling qualities don’t suit Bourdais’ preferred driving style, but champion drivers can always adapt, and certainly race engineer Craig Hampson has vast experience of tuning a car to Seb’s tastes. Bourdais should be fast on a regular enough basis to remind everyone how he became a multiple champ in U.S. open-wheel. In Carlin Racing's inaugural IndyCar campaign, it’s not going to hurt at all to have drivers that are familiar with Trevor Carlin's philosophy and methodology, and who also have a total of nine years of experience at Chip Ganassi Racing. Grahame Chilton, Max Chilton’s father, is CEO of Gallagher & Co. in the UK, as well as part owner of Carlin Racing, so once Trevor Carlin expanded his U.S. operation to include IndyCar, it was inevitable that Max would return ‘home.’ Meanwhile, a reduction in funding from Novo Nordisk/Tresiba meant Charlie Kimball was ushered to the CGR exit, after seven seasons and one win, and has returned to the team for whom he scored five wins and runner-up position in the 2005 British F3 championship. It would be glib to describe Chilton and Kimball as journeymen who occasionally have good days, because their good days can be very good. And you can’t even generalize about where their strengths lie, as they have enjoyed impressive moments on all types of track. Kimball usually shines on race day at the Indy 500 – he was a possible winner in 2017 until his engine let go, and he finished third there in 2015. Chilton actually led more laps at IMS than anyone else last year and wound up fourth. Elsewhere, Chilton is at his best on natural road courses such as Road America – yet his highest start has been at Iowa Speedway in 2016, where he also won in Indy Lights. Kimball often prefers high-grip circuits, but over the past couple of seasons has upped his game on street courses too. Gabby Chaves, the 2014 Indy Lights champion, has joined Harding Racing full-time for 2018, and this combination made a strong impression last year in its first three outings, all on ovals. In a single-car team the little Colombian will have a tough route up the mountain, but ex-IndyCar race director Brian Barnhart is enjoying his return to team action, while veteran team manager Larry Curry has high standards and won’t be afraid to make tough decisions to move the team forward. Other factors in the team’s favor are that Chaves makes very few errors – he’s been listening well to driver coach Al Unser Jr. – and he knows the tracks. In addition, Curry says his driver has a strong team spirit, fully aware of how integral he is to the heavy lifting in a team's first full year. It’s a brave group that decides to head into the IndyCar championship with just one entry, so it’s hard not to wish them luck. Juncos Racing, which last year took its drivers to both the Indy Lights (Kyle Kaiser) and Pro Mazda (Victor Franzoni) championships, will enter eight races in IndyCar this year – four with Kaiser as part of his Mazda Road To Indy prize, and four with Rene Binder, who scored four wins in last year’s Formula V8 3.5 World Series. Binder will compete at St. Petersburg, Barber Motorsports Park, Toronto and Mid-Ohio, with Kaiser taking the wheel at Phoenix, Long Beach, the Indianapolis Grand Prix and the 102nd Running of the Indianapolis 500. So what can we expect from yet another shared ride? 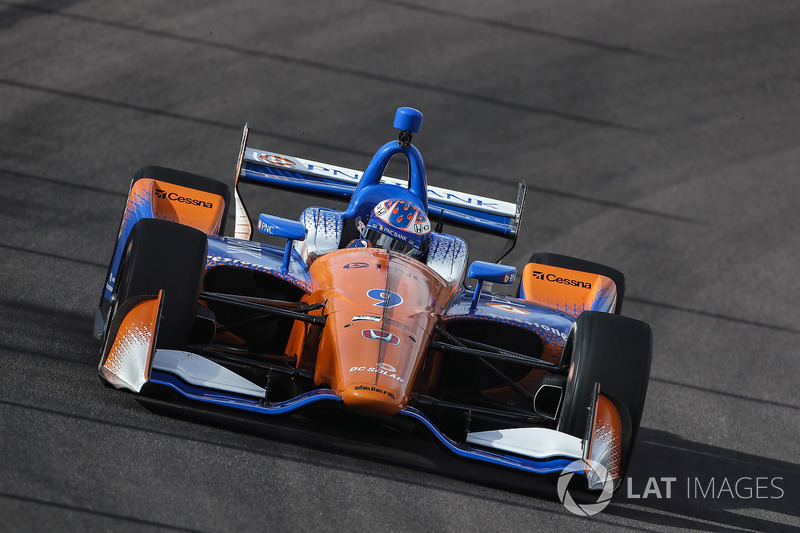 Well, it’s going to be immensely tough: the team has precisely one race under its belt – a two-car entry in last year’s Indianapolis 500 – while both drivers are absolute rookies at this level, one of them without any experience of the tracks. But if the whole team’s attitude reflects that of team owner Ricardo Juncos – learn to walk before you try to run – then expect to see a sensible approach taken by both drivers with priority given to finishing and racking up the miles. In a 23/24-car field, qualifying in the first eight rows would be a major achievement, as would one or two top-12 finishes, and those are realistic targets. Anything more would likely require Lady Luck waving the full-course yellows at the right moment. But that’s fine. 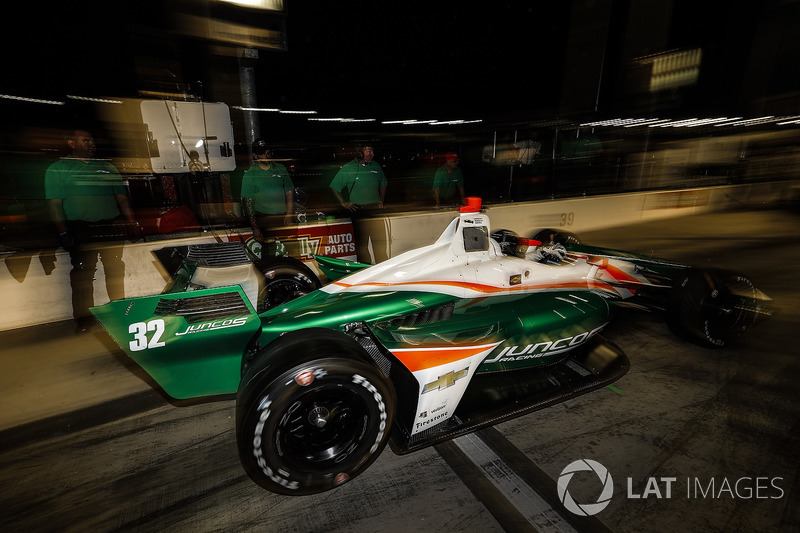 Ahead of what one hopes will be a full-season entry in 2019, Juncos and its staff just need miles… and some more sponsorship.